Today I am happy to share with you another interview from someone I met over inside the vitiligo Facebook group, Melinda Janofsky. She is currently training to work as a Holistic Health Coach and has so graciously agreed to share with us her vitiligo story, along with the insight she has gained during her healing process. 1. Hi Melinda! 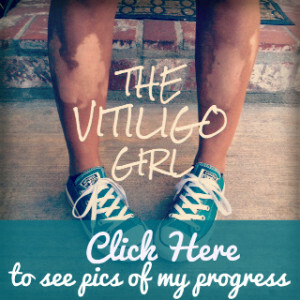 When and how did your vitiligo start, and what do you feel caused or triggered your vitiligo? 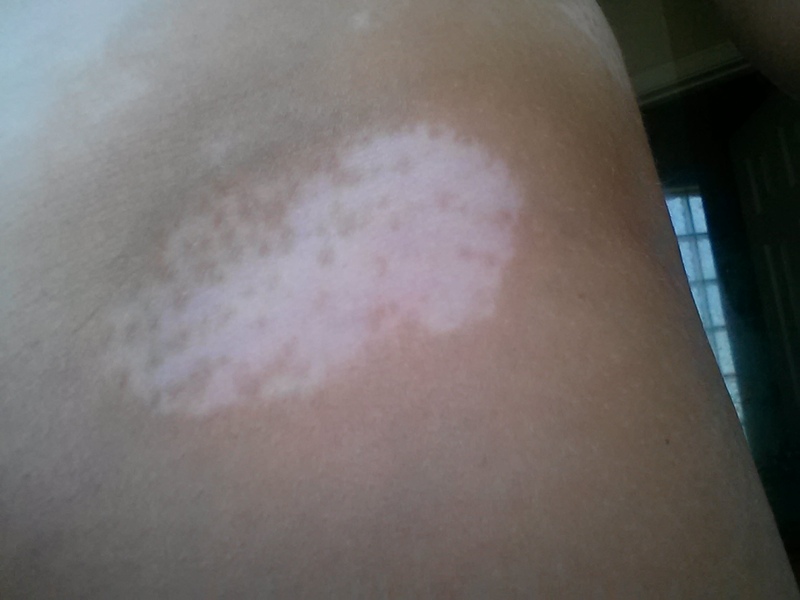 My memory of how vitiligo started to surface for me was the summer of 1985 when I was 15. I fell asleep in my backyard with my arms over my head after a day of swimming . I woke up with a bad sunburn and after a few days of pain, a white spot appeared under my armpit. 2. Did you change your diet? If so what changes did you make? My diet changed 1 year ago when I was diagnosed with systemic Candida, leaky gut, Raynaud’s disease, dehydration, low stomach acids, low digestive enzymes and multiple vitamin deficiencies. I have been on a strict diet of almost no sugar, dairy-free, soy-free, corn-free, fruit-free, grain-free, alcohol -free, coffee-free, chocolate-free, potato-free, citric acid free, fermented free and no starchy veggies. I eat lean meats, veggies, nuts, coconut products and oils. 3. Did you take any supplements? If so, which ones? Trustarhealth- multi vitamins, True Atioxidant/Protect, True Digest, Thorne- Formula SF722, Cal-Mag Citrate, Glutathione-SR, Ferrasorb, Standard Process- Prebiotic Inulin, Betaine Hydrochloride, Zypan, Lauricidin-Monolaurin Supplement, Smart Siver Advanced Immune Support and Nutri-West Expore. 4. What topical treatments do you use to help you repigment? Nothing topical ever did anything to help me repigment. I used Protopic for 10 years. 5. What do you feel has been most important to your success? I attribute my success to the removal of Wheat and Gluten. 6. How long after these changes did you see results? I started to see re-pigmentation after 2 months. I have had some great results, but I also realize that I have had vitiligo for 30 years and don’t expect it to go away quickly. I am looking forward to being in the sun this summer and seeing even more results. 7. Any books you recommend? The Books that I would suggest for people with vitiligo to read are Wheat Belly and The Yeast Handbook. Also, Google Microbiome, candida, leaky gut, vitiligo and wheat, gluten. 8. What advice would you give to someone who wants to reverse their vitiligo? Where should he or she start? I never thought Vitiligo had any connection to nutrition and digestion. The western physicians, endocrinologists, dermatologists and OBGYN that I saw never connected autoimmune disorders and food. I would suggest anyone going through this to educate yourself on the digestive system and the immune system. Take an inventory of everything you eat and look at your other symptoms. I am a yoga teacher in the Kansas City area and currently training at the Institute of Integrative Nutrition to work as a Holistic Health Coach. I am available to work with clients via skype if you are interested in exploring the food connection. I can be reached at mjanofsky@hotmail.com. 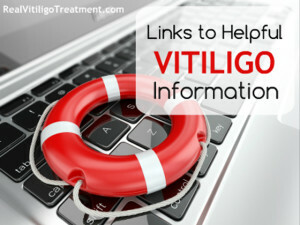 Yes, vitiligo is connected to the gut. I take ox bile to help my digestion.